A two nights’ stay for two including breakfast at Qasr Al Barhar, dinner for two in any outlet of your choice and spa treatment. Set in a charming beach-front location, and only 50 minutes from Dubai, the luxurious Waldorf Astoria Ras Al Khaimah is ideal for leisure getaways. 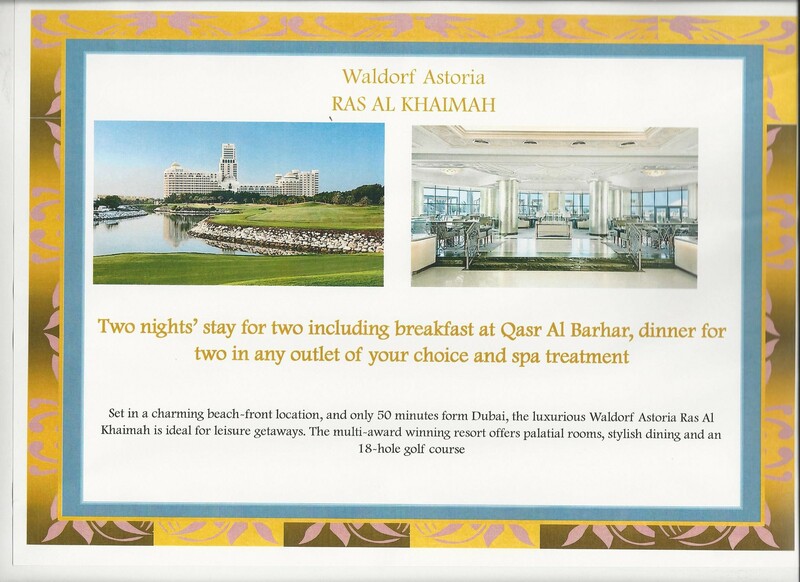 The multi-award winning resort offers palatial rooms, stylish dining and an 18-hole golf course.